Everyone strives to have the best, healthiest smile they can. In doing that, they will buy teeth-whitening kits, get braces, and even consider getting cosmetic dental surgery. But, when considering all of the lengths people will go to for that picture-perfect smile, many people forget some of the fundamentals of maintaining healthy teeth. So, is there a “secret to a healthier smile”? The short and sweet answer is no. There isn’t just one fool-proof secret, but several helpful and readily available tips that can lead to one beautiful smile. The best part is you probably already know every single one of them. Don’t believe us? Keep reading to learn more about how you can get a healthier smile starting right now. We all know the rule of thumb for home oral care is to brush your teeth twice a day and floss your teeth once a day. But, is flossing really that necessary? Most of us have had that question, and all dentists and hygienists will tell you yes until they are blue in the face. Flossing is vitally important to the state of your teeth and gums. It helps keeps plaque and hard-to-remove tartar at bay and helps reduce your risk of developing serious diseases like gingivitis, gum disease, and tooth decay. 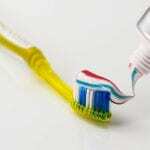 In that same vein, another key activity to get into the habit of doing is to brush your teeth twice a day. Brushing your teeth with a soft-bristled brush and a toothpaste that fits your needs will help your teeth stay strong and healthy. Make sure that you’re not brushing too hard and that you are brushing for at least 2 minutes each time you brush, focusing on all surfaces of the tooth and your gums. To truly get healthy teeth, you need to stop the potentially harmful oral habits you may have. These habits can include smoking or using any other tobacco products, drinking an excess of alcohol, brushing too hard, clenching and grinding your teeth, and anything that can damage your teeth and gums. It’s important to break these habits sooner rather than later because the more damage you do to your teeth now, the worse off they’ll be later and that directly translates to painful and expensive dental work. Speaking of dental work, going to the dentist for regular checkups is a huge part of creating and maintaining and healthier smile. If you go to the dentist regularly, you can set yourself up for great overall wellness. Along with that, preventative dentistry can save you a lot of time, money, and pain in the future. 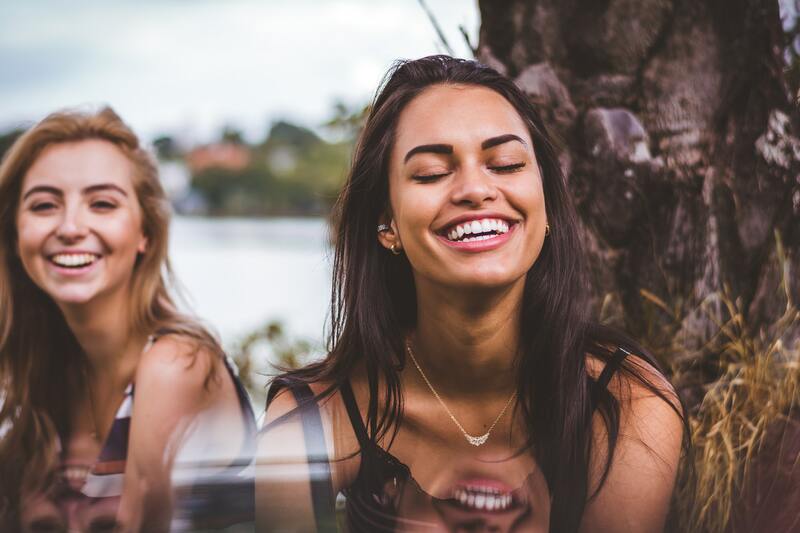 Remember, a healthy mouth leads to a healthy body, so get into the habit of seeing your dentist regularly so you can get the healthiest mouth you can. 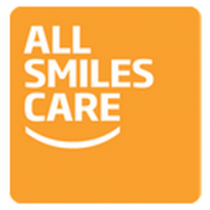 Here’s the bottom line – a healthy smile isn’t only about how it looks. It has to do with how you treat your teeth and gums as well. And that starts with following our tips above. If you are in our area, don’t hesitate to make an appointment with our team. We look forward to hearing from you!